It could save their life. When you were a kid, hitting milestones felt magical. Even the less enjoyable aspects — enduring the weirdness of wiggly, bloody baby teeth — came with a visit from the benevolent Tooth Fairy. 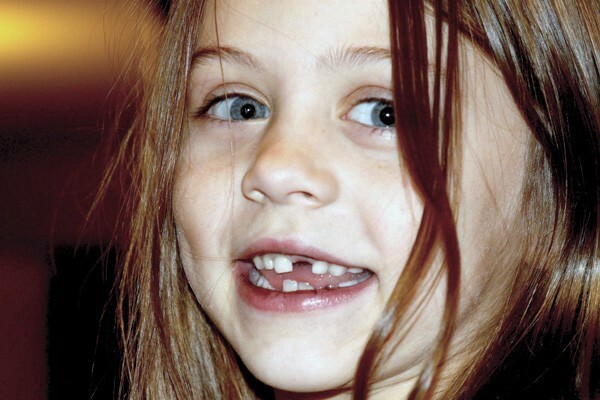 But waking up to find a cool pile of cash under your pillow isn’t the best part of losing baby teeth: according to science, saving your child’s baby teeth might save their life. A 2003 study shows that baby teeth contain stem cells, which the National Institutes for Health (NIH) claims can be used to develop replacement cells and tissues. These replacement cells can help treat a variety of diseases, including macular degeneration, spinal cord injury, stroke and burns. Baby chompers have such useful medical qualities that people are going to great lengths not only to save them, but also to preserve them. Preserving baby teeth may prove useful in the long run, but the process comes with a hefty price tag. Facilities like Store-A-Tooth, The Tooth Bank, and StemSave require upfront fees ranging from $475 to $1,749 and yearly storage rates cost roughly $120. The process of preserving baby teeth is similar to that of umbilical cord blood banking, which is becoming increasingly popular. However, critics argue that the cost of preserving the teeth might outweigh the benefits — to date, the US Food & Drug Administration (FDA) has yet to approve the use of dental stem cells for any medical procedure. Research into baby teeth is still ongoing, and while this is an area of science worthy of further exploration, it’s too soon to say if investing in tooth preservation is worth it or not. That said, stem cells obtained from teeth may one day help to develop cures for Type 1 diabetes, treat multiple sclerosis, traumatic brain injury and even reconstruct bone tissue, optic neurons, and retinas. Depending on your child’s health challenges or genetic predispositions, you may want to speak with your medical professional about banking their baby teeth. After all, it never hurts to explore innovative, life-saving options.